Month No.1 at The University of Queensland! So, officially a month ago today, I had my first class at The University of Queensland, Brisbane. The initial differences between Australian university culture and Manchester were quite striking, so in my second blog I’m going to describe the differences between the two, and also let you guys know about all the other amazing stuff I have been up to. UQ start some classes at 8am and studying Biology means I am in these classes! UQ has no ‘Fallowfield’ – most students live at home or in shared houses that are spread all over the city. Students in Australia are very hard working (some in Manchester are too), but generally, lectures are always full and labs are never missed. Without disrespecting UoMs campus – UQ has a completely relaxed, much larger and prettier campus. It is not unusual for people to sunbathe in one of the MANY grassy areas whilst waiting for classes. Science subjects are not 95% final exam at UQ – most of my courses have mid-semester exams, assessments throughout the term and a final exam that is worth at maximum 50% of the final grade. The pass grade at UQ IS 50%. With all of that said, there are lots of similarities to Manchester, including the fact that all lectures are recorded and they use similar software including Blackboard and Turn-It-In. Studying at UQ has so far been very refreshing and insightful. With mid-semester exams in a few weeks we will see if that stays the same! Brisbane is the perfect location in Queensland to go travelling on the weekends, or during mid term break. It is only a few hours drive away from the border of New South Wales, a short flight away from cairns or Melbourne, or an amazing east coast road trip to the Great Barrier Reef! In my first month I have already explored so much of Queensland, this was mostly due to a society that everybody thinking about coming to UQ should join –QUEST! QUEST (Queensland University Exchange Student Society) is without a doubt the best society an international student can join at UQ. 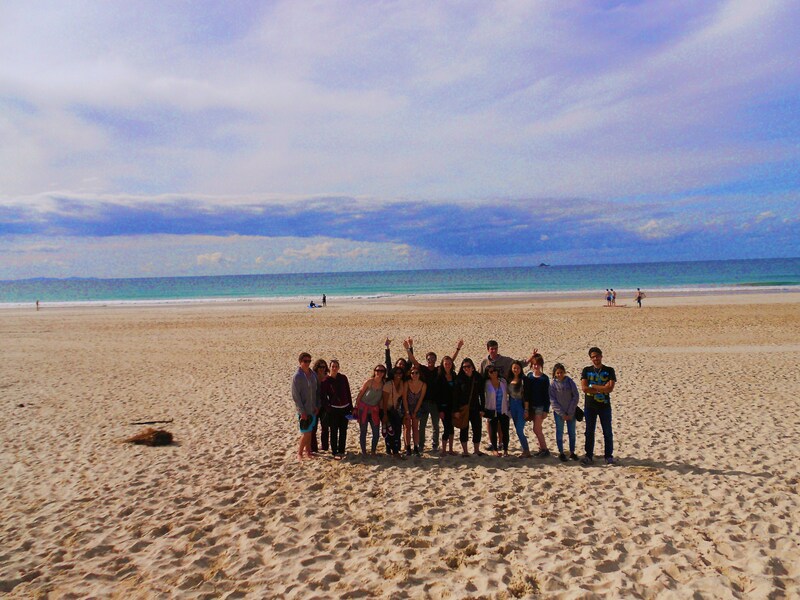 It will help you meet so many other students from all around the world, and take you on adventures all over, including: pub crawls, east coast road trips, camping, Byron Bay, island weekend trips, zoo trips and much more (all for a very decent price). So since i last blogged, i have started university, been to an Aussie rules football match, been to MEKKA WEDNESDAY race day (where we met the cast of the Inbetweeners), sunbathed on Surfers Paradise (Gold Coast) and spent the weekend in Byron Bay, New South Wales. MEKKA Wednesday Races – A public holiday in Brisbane that celebrates the EKKA festival. 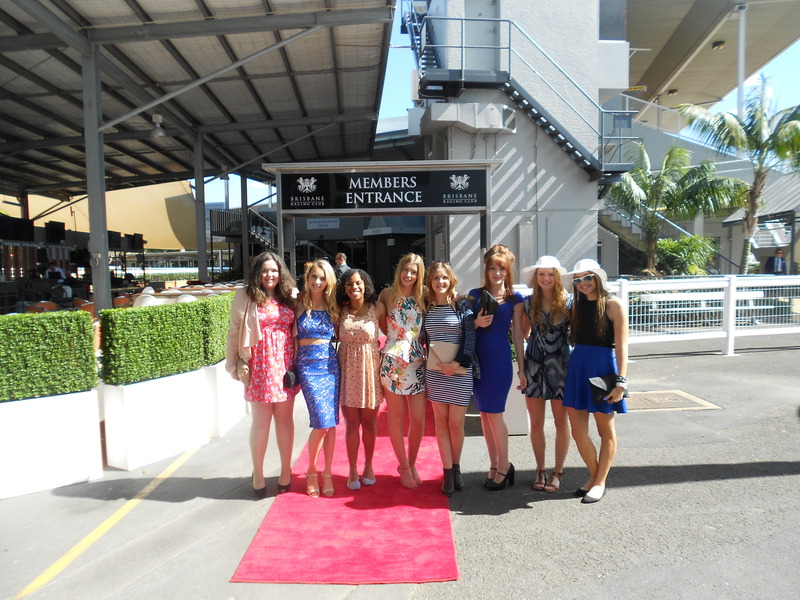 These races are a day when almost every student in Brisbane gets dolled up and heads to Doomben racing course! Myself, and a fellow manchester student at MEKKA Wednesday races! BYRON BAY! – Byron Bay is one the most stunning places I have had the pleasure of visiting, it is located just inside New South Wales and is known for its surfing and culture. Aussie Rules, held at the famous ‘GABBA’. Aussie rules is an Australian version of football, and I honestly had no idea what was going on half the time. My next adventures include Moreton Bay this upcoming weekend, camping in Goombura Valley, Fraser Island for 5 days in mid semester break, and Heron Island (THE GREAT BARRIER REEF!) for the other 5 days of mid semester break. 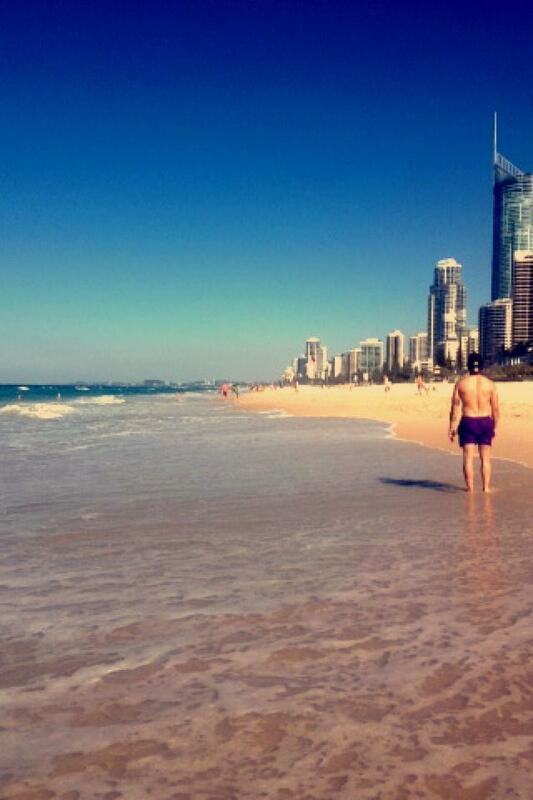 Queensland is the perfect destination for travelling, studying and getting the best value out of your exchange experience, i already don’t want to leave! Previous post1 week to go!